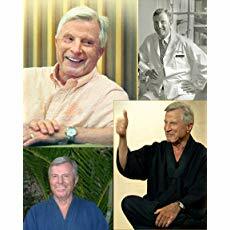 Neurologist, researcher, and Zen practitioner, Austin is Professor Emeritus of Neurology at the Univ. of Colorado Health Sciences Center, and courtesy Professor of Neurology, Univ. of Florida College of Medicine in Gainesville. During Dr. Austin's sabbatical in 1974 in Kyoto, Japan, he began Zen meditative training with Kobori-Roshi, a Rinzai Zen master. Austin's six decades of brain research involve neurology, neuropathology, neurochemistry, and contemplative neuroscience. INTERNATIONAL: Dr James H Austin's work Zen and the Brain won the Scientific and Medical Network Book Prize. Published in Chinese, Professor Nai-Shin Chu M.D., Ph.D. translated. Dr. Austin's book, Zen Brain Reflections, was just published in Korean. 박사 오스틴의 책 선 (禅) 뇌 반사는 한국 독자들을 위해, 현재 한국어에서 사용할 수 있습니다. Dr. Austin offers his 7 books thru The MIT Press. FOLLOW Dr James Austin on Amazon for his latest publications. SUMMER 2018: Dr. Austin's new work, Old Joshu Lives On, is yours to DOWNLOAD. Dr. Austin's book Zen and the Brain was Winner of the Scientific and Medical Network Book Prize, and has been published in Chinese, as translated by Professor Nai-Shin Chu MD, Ph.D. Dr. Austin's second book, Zen Brain Reflections (2006) was recently published in Korean. 박사 오스틴의 책 선 (禅) 뇌 반사는 한국 독자들을 위해, 현재 한국어에서 사용할 수 있습니다.